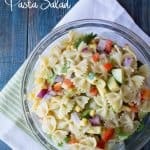 Tex-Mex Pasta Salad – pasta combined with fresh vegetables and tossed with a homemade vinaigrette. It’s cool, delicious and a perfect dish for a hot summer’s day! Hello again! It’s me, Leia from Eat It & Say Yum. 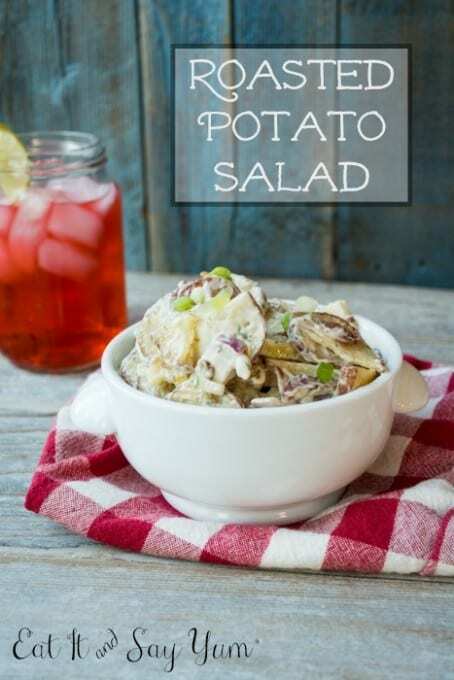 Today I am sharing a great summer side dish. 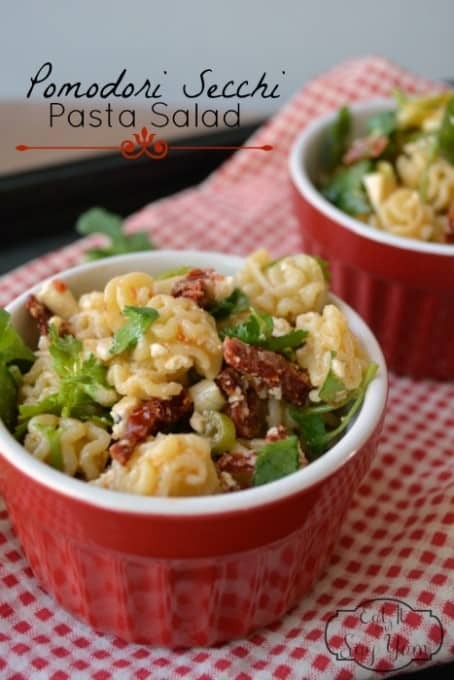 This Tex-Mex Pasta Salad is so easy to make and is perfect for a family meal or a pot luck. Plus it’s a chilled salad so it’s nice and refreshing during these hot months. 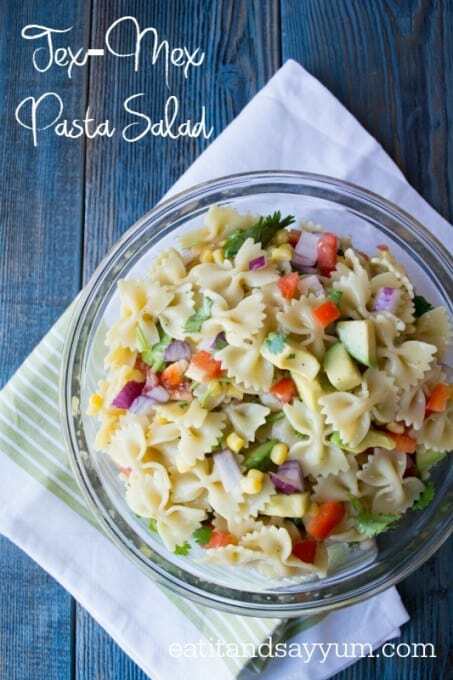 One thing I love about chilled pasta salads, especially this one, is all the fresh produce that goes into it. Plus you can add more or less of things and it will still taste great. So functional. I used my favorite foods that really scream ‘Tex-Mex’ to me. Like cilantro, it just has to be in there. Some others were corn, bell pepper, avocado and red onion. I made a simple vinaigrette dressing to tie everything together and give the salad it’s moisture. 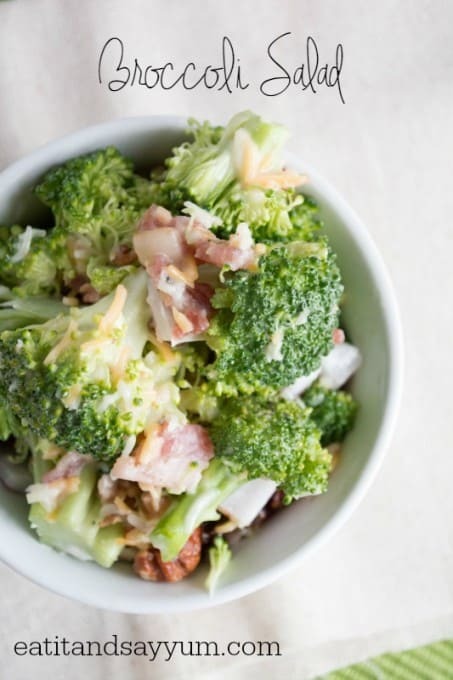 Mix the dressing ingredients together and set in fridge until ready to use. Cook the pasta, then prep the fruits and veggies by dicing or chopping as needed. Drain the pasta and rinse with cold water until the pasta is cooled. 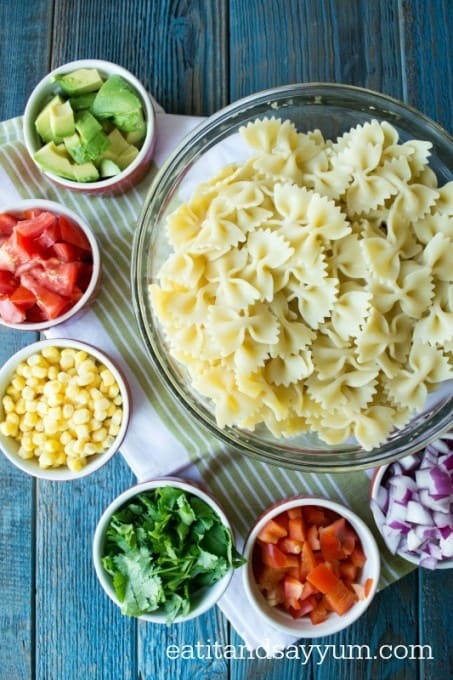 Toss the pasta with all the ingredients and the dressing. See? So easy, but full of flavor. I hope you are enjoying your summer! Thanks, Leia!! This salad will be the perfect dish to cool us off this summer! Can’t wait to see what she has for us next!